Anambra State Association of Town Unions (ASATU) has endorsed the Special Adviser to Governor Willie Obiano on Political matters, Chinedu Obidigwe, as their candidate in 2019 general election. 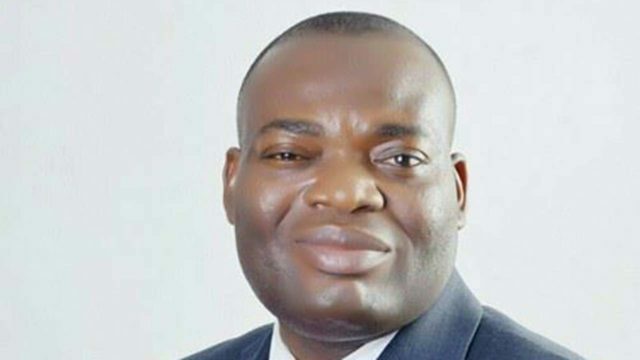 The union said they preferred Obidigwe to replace the candidate of the All Progressive Congress (APC), in the last Anambra governorship election, Dr. Tony Nwoye who currently represents Anambra East/West Federal Constituency at the House of Representative. While exchanging views with journalists after a crucial meeting of all Presidents General of communities in Aguleri, the National President General of the Association, Chief Alex Onukwue who spoke on behalf of others, said ASATU has endorsed Obidigwe. According to Onukwue, their findings have shown that the House of Representative hopeful will make a good representative if given the chance in 2019. In a communiqué made available to journalists, they said, “We have endorsed Hon. Obidigwe, based on the agreement reached between leaders of thought in the two council areas; and that alphabetically, Anambra East should as a matter of understanding, produce a candidate for the House of Representatives position come 2019, and also because of the fact that we stand for peace, unity and development of our constituent. “We want to appeal to all our political leaders in the constituency to give him maximum support for us to have effective representation who will continue the good work of the ruling All Progressives Grand Alliance (APGA) in the state.